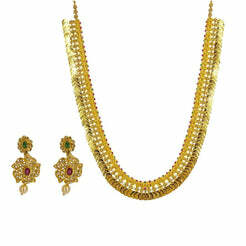 22K Yellow Gold Pendant Necklace & Earrings Set W/ Bloomed Faceted Flowers for women. 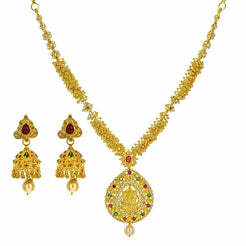 This elegant 22K yellow gold pendant set features a pair of earrings and a necklace with ornate faceted bloomed flowers. The earrings feature a screw post for easy wear. 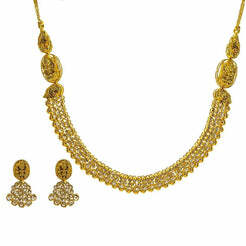 Ideal for dressy attire, this set has a total gold weight of 17.3 grams.